The Red River Zoo is a non-profit organization and relies on donations. Your membership helps us care for the animals. Get unlimited admission to the Zoo for you, a guest, or your whole family! 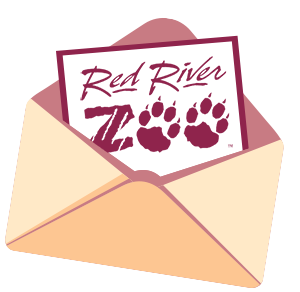 Red River Zoo members also receive FREE or reduced admission to over 150 zoos and aquariums across the country! Check our full Reciprocity List. Add this to any membership for $30 per year. Allows one guest to accompany card holder each visit. This is the perfect add-on for nannies & babysitters! Memberships make a great gift for a person or family to enjoy all year long! We can mail the membership to you OR the recipient! You’ll get a reminder 30 days before your membership expires. You can easily renew then or purchase another year here. Early admission at 9:00 a.m. whenever the Zoo is open. FREE admission to special events like ‘Boo at the Zoo’ and ‘Holiday Nights’! Wild Things Gift Shop & the Dancing Crane Cafe! Want to download a membership form instead? No problem! Just print out the form below and mail it in. 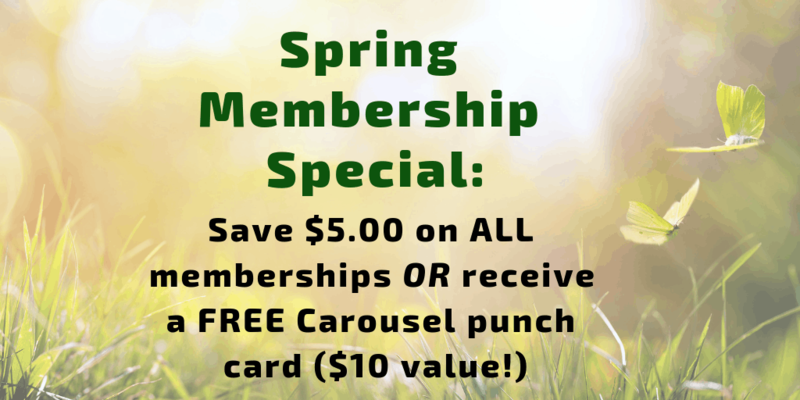 Simply take $5.00 off the total to take advantage of our Spring membership promotion!